Tambora drums are one of the most popular instruments in the Caribbean. 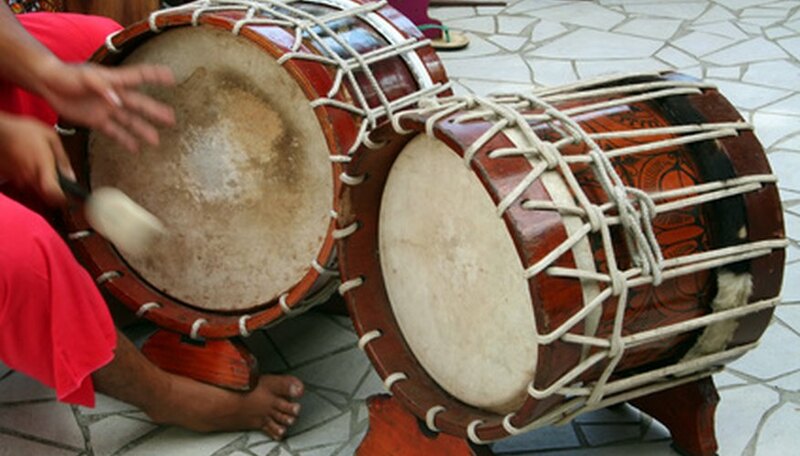 Their beats and rhythms are what many people identify as the music of the islands. The word "tambora" comes from the Spanish word "tambor," meaning "drum." The tambora drum resembles West African drums in both rhythm and technique. It is a staple instrument in the folkloric music of the Dominican Republic, the cumbia music of Colombia and gaita style in Venezuela but is most often associated with quick, upbeat rhythms of merengue. Like many other music, food and cultural traditions, the tradition of the tambora traveled across the Atlantic with West African slaves, who were brought by Europeans to work plantations in the Caribbean and Latin America. In Africa, the tambora had been used in rituals and ceremonies, but it became an icon of home for slaves displaced from their homes. Few belongings arrived with slaves, however, so many took to fashioning the tambora from used rum barrels. Because slaves had to be creative with materials they had at hand, different styles of tambora emerged, some of which are still used today. Early tamboras were tuned with ropes and had black-colored heads. They were popular among folkloric styles of musicians in the Dominican Republic. 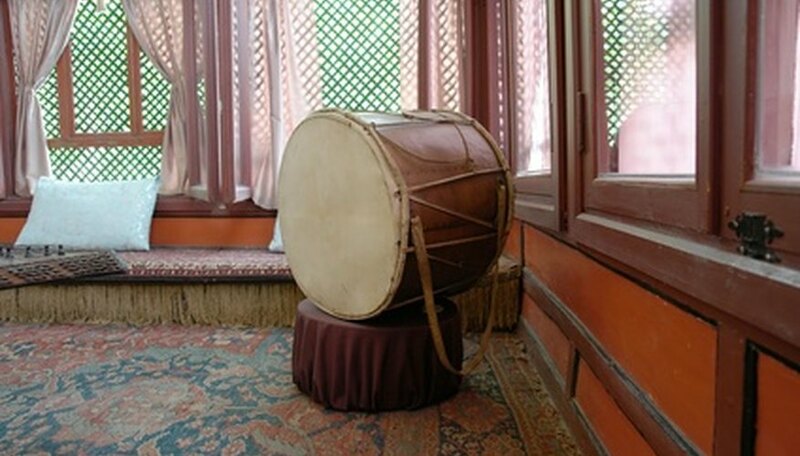 Another type strongly resembles drums most commonly seen in Ghana. Also rope-tuned, the heads are covered with goat skin, with or without hair left on the hide. These heads are called "chivo" heads. A third type, which is now commonly made by modern companies, is tuned with bolts. The heads are made from rawhide and the drums resemble conga drums. Unlike early tambora drums, the sides of the heads are fitted with metal or wooden rims, which allow the tamborero, or tambora player, to more easily make rhythms that resemble the sound of wooden blocks. Even though the tambora is used in several different styles of music, there are only three basic strokes that comprise all of the rhythms of the drum. The slap is made by slightly cupping the hand and slapping the head. The rim stroke is made by striking the rim across the first knuckles of the fingers. The third is the open tone. Although styles can vary, the tambora is placed between the lower legs and slightly tipped so that sound can escape from below the drum. 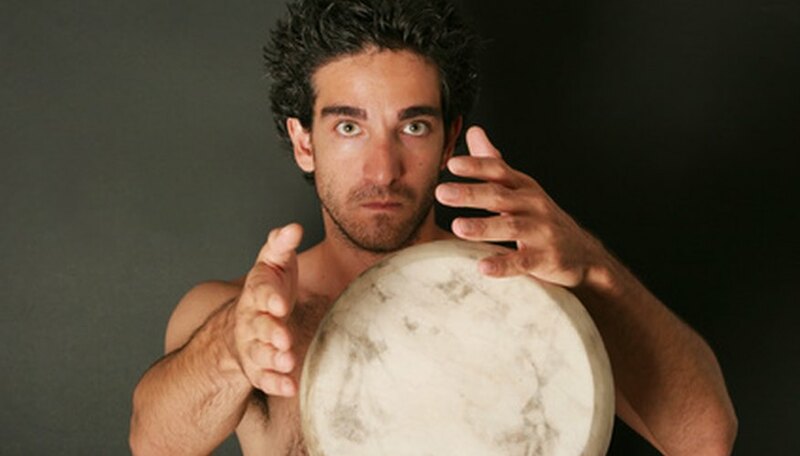 The drum can also be played situated sideways on a lap. The tambora is typically played only with the hands; sticks are rarely used, although they are common in gaita-style music. 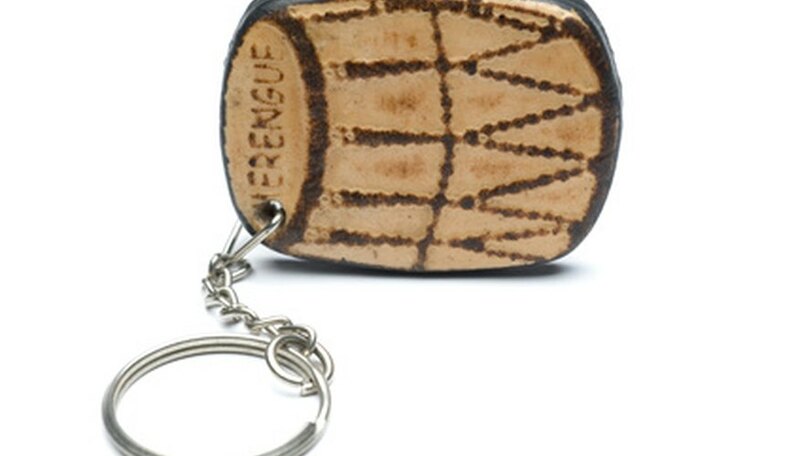 In traditional merengue music, called merengue tipico, the tambora has a leading role. Like its African counterparts, the tambora is the main voice. In more recent orchestra merengue music, however, the tambora is used as more of a background instrument. Congo drums and güiras, which sound like maracas, are the leading rhythm instruments. In Colombia, cumbia music emerged as an integral part of courtship rituals. The rhythms of this lively music are still heard in Yoruba rituals in West Africa, primarily Nigeria. 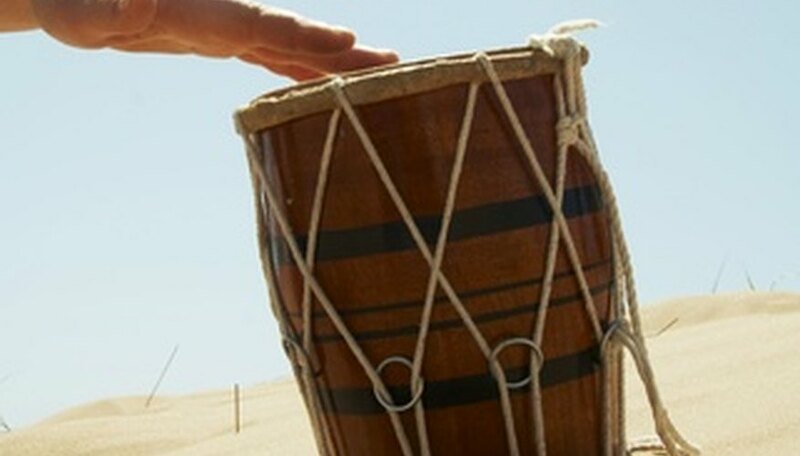 The tambora was an integral instrument in cumbia music in its early years, but conga drums, claves, timbales and the güira have now replaced the drums. They can still be heard in traditional music festivals and presentations. 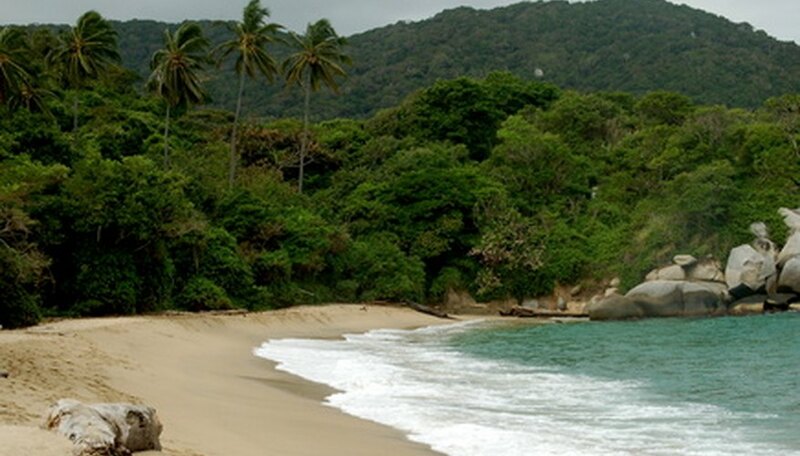 In Venezuela, the tambora took on a different traditional role. Gaita music emerged in the Lake Maracaibo area when traditional music of the slaves mingled with traditional music of other native populations. In this music, the tambora is not played with the hands but rather with sticks for a unique sound different than other traditional African music. Gaita is most often associated with the Christmas holiday, although modern groups, such as Guapo, have made it popular year-round.